The GTX 980 is Nvidia’s flagship GPU powered by their maxwell architecture has taken the GPU world by storm. Along with the GTX 970, the cards give really impressive performance with really good power consumption and temperatures. With this card Asus hope to better it with a custom PCB design and cooler. 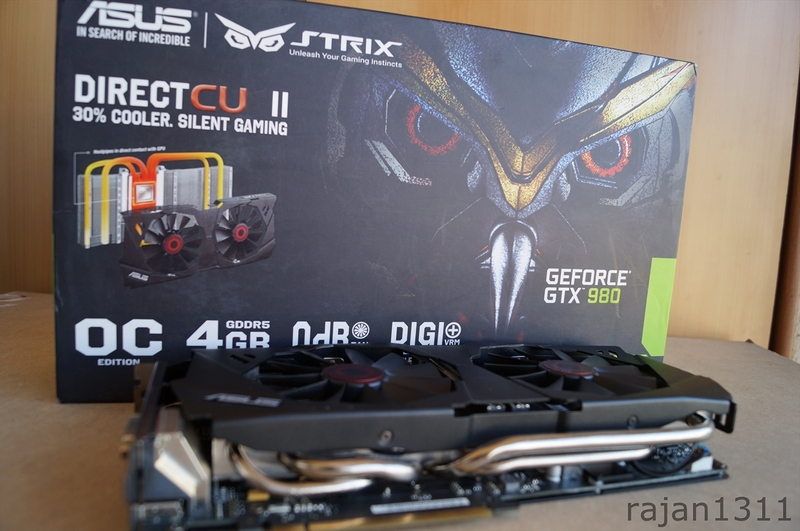 The STRIX GTX 980 comes pre-overclocked at 1178MHz over 1126MHz stock core clock. The card is built on a custom PCB that allows for better overclocks and an much better cooler, which even features a 0 Db , fan off mode.